I once heard Radhanath Swami explain that If you find an unclaimed wallet, filled with $100 bills, you have three choices. First, keep it- after all finders’ keepers and losers ’weepers’”. The second choice is to ‘renounce’ the wallet. The two choices are compared to being the ‘enjoyer’ and ‘false renouncer’ in this world respectively; because the wallet anyway didn’t belong to you. The third action- to find the owner’s address and return it to him- is a more responsible one. Similarly a spiritualist refuses to exploit the resources of nature for selfish enjoyment. He also doesn’t artificially renounce things of this world, because the world and its resources are not his property, rather they belong to God. Instead he engages his wealth in service of God, while giving up the sense of false proprietorship and enjoyer. Thus one could be a billionaire and an emperor of the world and still be renounced, by offering his wealth for a spiritual cause. Or one could be an impoverished beggar, and still not be a renunciant if he is proud of his penny. 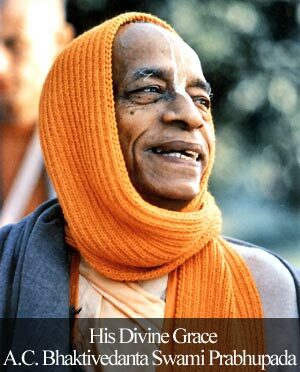 The statement “detachment is only sacred to the degree it fosters humility, respect, and love.” by Radhanath Swami gives such a nice understanding of what is the purpose of detachment. “Renunciation doesn’t mean giving up things externally but rather it means diligently pulling out the negativeness from the heart.” Radhanath Swami has done exactly the same thing. How can we renounce anything that is not ours in the first place? God has created everything, He owns everything, and so, as Radhanath Swami says, everything should be used for Him alone. True using things of this world for God’s service is higher detachment than just leaving everything away. That is what Krsna taught Arjuna. “I now understand that detachment is only sacred to the degree it fosters humility, respect, and love”. This statement o Radhanath Swami touched my heart and made me understand the true internal meaning of renunciation. Real Detachment, as Radhanath Swami explains, is to be attached ONLY to God. this small piece goes a long way to give a true understanding of renunciation. Amazing lesson by Radhanath Swami about how to perform Yukta Vairagya and not the Phalgu Vairagya. This teaches us real detachment which is often misunderstood by people in general. “Renunciation means detachment from the false ego; renunciation means death of the false ego”…very profound..I never thought like this. Bhakti yoga is about transforming material energy into spiritual energy. Potentially anything can be spiritualized based on the consciousness. Thank you for sharing this article. Radhanath Swami Maharaj explains detachment! Very instructive message on detachment. We should renounce the negativities. Very wonderful and deep expression of “renounciation. – Bhakti Yoga is the art of transforming material energy into spiritual energy through a spirit of devotion – Thank you Radhanath Swami Maharj. As Radhanath Swami is pointing out here, we have to be careful even while renouncing. Real detachment is being selfless. Real selflessness is love. False selflessness is the attempted negation of selfishness. Renunciation is most widely accepted as giving up things externally but herein Maharaj gives us the higher understanding of renunciation – diligently pulling out the negativities from the heart. “The seed of all attachments is false ego, therefore essentially renunciation means detachment from the false ego; renunciation means death of the false ego.” This is such a powerful statement, as it clearly defines what detachment really means. Further, Renunciation doesn’t mean giving up things externally but rather it means diligently pulling out the negativities from the heart. These two statements underlines the mood behind detachment and Renunciation. Very nice. Amazing article about what Renunciation is and what it is not. Radhanath Swami Maharaj is a true renouncer. I was also amazed when I first heard this understanding of what is real detachment—-a matter of internal consciousness. 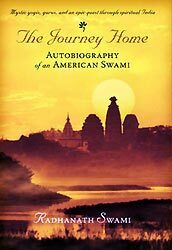 False ego, hiding our real position, part and parcel of Krishna.Here Radhanth Swami realized the real meaning of detachment and helping everyone to use everything in the service of Krishna. All glories gto Radhanath Swami. Maharaj realisations are very beneficial to others. 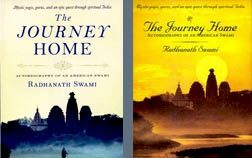 Radhanath Swami is self realized and hence his words penetrate the hearts of those who read and hear him. Radhanath Swami says everything should be used in service to Lord. one could be a billionaire and an emperor of the world and still be renounced, by offering his wealth for a spiritual cause. Thank you for telling us what is real detachment and how we can detach ourselves from material things by getting attached to a higher taste. Amazing explanation of what real renunciation is!